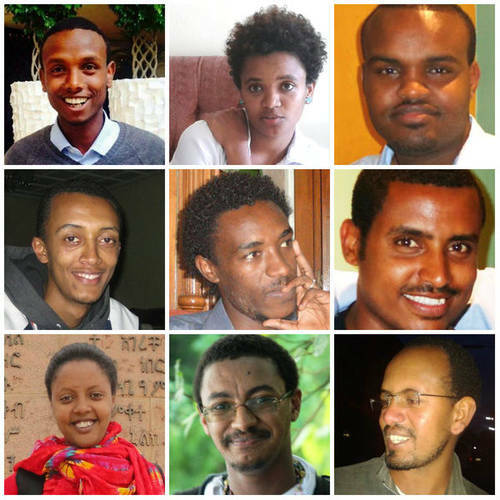 New York, September 15, 2015–The Committee to Protect Journalists will honor journalists from Ethiopia, Malaysia, Paraguay, and Syria with the 2015 International Press Freedom Awards. The journalists have endured death threats, physical attacks, legal action, imprisonment, or exile in the course of their work. Raqqa is Being Slaughtered Silently, a Syrian citizen journalist collective and one of the few independent news sources that continues to report from inside the Islamic State’s self-proclaimed capital. The Associated Press’s special regional correspondent for Pakistan and Afghanistan, Kathy Gannon, will receive the Burton Benjamin Memorial Award for lifetime achievement in the cause of press freedom. Gannon has covered the region for the AP as a correspondent and bureau chief since 1988. In 2001, Gannon was the only Western journalist allowed by the Taliban to return to Kabul during the U.S.-led coalition’s assault on Afghanistan. In 2005, Gannon authored I is for Infidel: From Holy War, to Holy Terror, 18 Years Inside Afghanistan, an examination of the Taliban and post-Taliban period, published by Public Affairs. All of the winners will be honored at CPJ’s annual award and benefit dinner in New York City on November 24, 2015. David Muir, anchor of ABC World News Tonight, will host the event. Steven R. Swartz, president and chief executive officer of Hearst, is the dinner chairman. Note to editors: CPJ International Press Freedom Award winners are available upon request for interviews prior to the awards dinner on November 24, 2015. For their full biographies, click here. Media accreditation for coverage of the awards dinner will begin on November 2, 2015. To purchase tickets to the dinner, please call CPJ’s development office at +1 212-300-9021.